Years ago, I discovered the chocolate mousse with raspberries at the Ogden Point Café in Victoria. It was served in a tall parfait glass with a thick layer of raspberries in the middle and a few more on top for good measure. With a cup of hot tea, it was just the thing after a bracing walk along the breakwater at Ogden Point. For such a rich and creamy dessert, it always sat surprising well in my tummy. Years later, I heard that the mousse was actually made with silken tofu. Mystery solved, I thought, and filed it away. 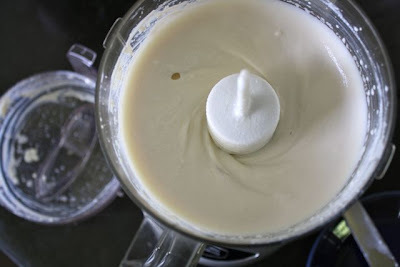 Why I didn't act on that information immediately vexes me now that I have made this mousse myself. Sheri and her family were coming from New Zealand to stay with us for a couple of days. Sheri and I met in university and got to know each other over many cups of tea and chocolate-y cookies and treats. Even though we haven't lived in the same city for 13 years, we've always shared recipes over the miles and treats when we meet up. But now Sheri can't eat gluten, dairy or eggs. I thought and thought and eventually pulled the Ogden Point chocolate mousse out of the recesses of my brain. Aha! A quick search turned up the ever-reliable Michael Smith with a recipe. With three ingredients. I was sold. Michael Smith calls this the "world's fastest chocolate mousse" and I have to say I agree. It's all done (and chilling in the fridge) in under ten minutes – although I will not discount the dish washing, which includes a pot with melted chocolate. 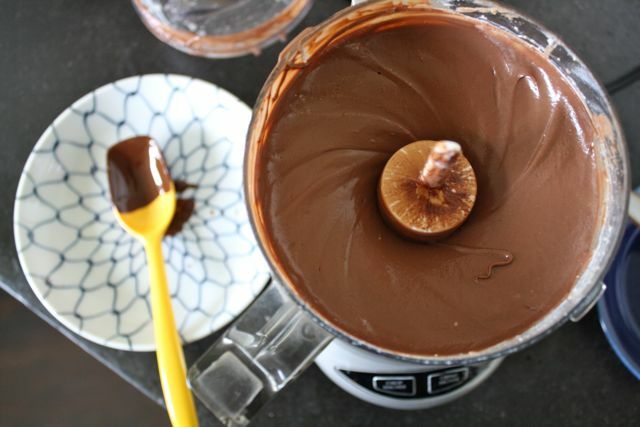 So let's say 20 minutes from start to mousse chilling to clean kitchen. If you have some doubts about including tofu in your mousse, try to let them go. As long as you get silken tofu, it really does whip up to be smooth and creamy. 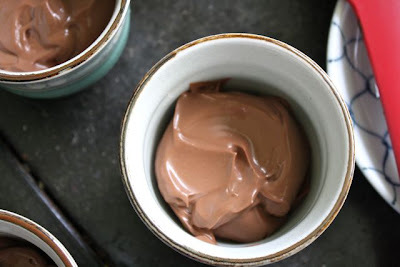 The mousse doesn't taste even remotely like tofu because tofu is just the carrier: it absorbs the chocolate and vanilla flavours and gives them body. You may also choose to do what I did for other dessert guests. I didn't mention it had tofu until they were licking their lips and asking me for the recipe. Put the chocolate in the top of a double boiler, or a metal bowl suspended over simmering water. 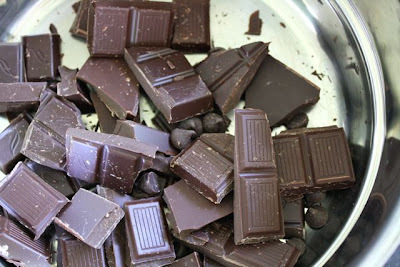 Melt the chocolate and remove from the heat. Set aside. 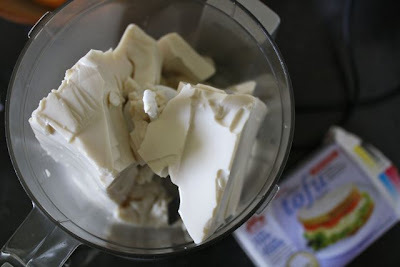 Blend the tofu in a food processor until smooth and uniform. Add the melted chocolate and vanilla and process until perfectly smooth. 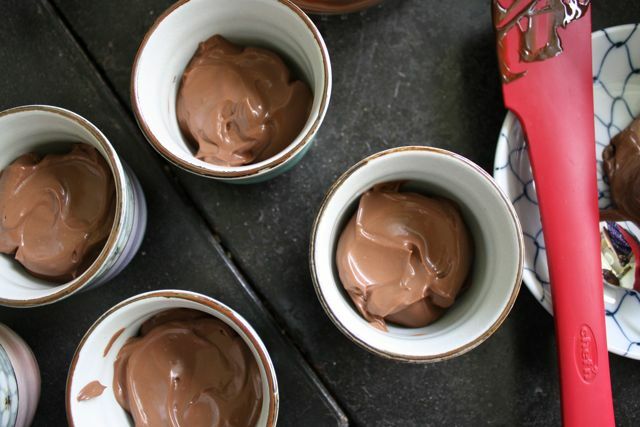 Scrape into individual dessert cups. Refrigerate until set (not long, perhaps one hour). Serve with a generous amount of raspberries on top. Not sure why some comments don't seem to get posted... Seems an issue with posting on my phone. But wanted to tell you we made this and it was delicious! I also have an issue with posting on my phone. Thanks for finding a way to make it work -- I'm so glad you liked it!